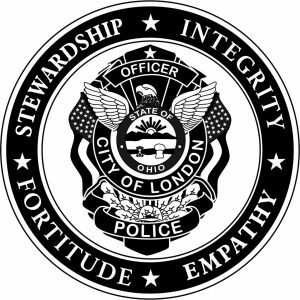 London Police deploys lifesaving software! COLUMBUS, OHIO (December 20, 2017) – Alert Public Safety Solutions (APSS), today announced the London Police Department in Ohio has gone live with the APSS software providing the office with the latest technologic software and tools available to the public safety industry. APSS will provided APSS Responder™, APSS Enforcer™ (LRMS), APSS Guardian™, APSS AlertMap™, APSS Operations™, and APSS Sentinel™ (Mobile Dispatch) to LPD. The APSS Product Suite replaced the current solution and providing the department with a fully integrated seamless solution increasing officer safety, dispatch efficiency, and complete records management. The London Police Department protects a population of 10,000 within 9 square mile City of London just 25 miles southwest of Columbus, Ohio. LPD is located within Madison County which is the county seat where Chief Glenn Nicol has been at the helm since 2015. Chief Nichol has since embraced the use of technology and strives to provide his officers with the technologic tools needed for today’s law enforcement officer providing them the information stream needed to remain safe and efficiently protect the community. APSS deployed the APSS product line in London upgrading the ability to provide the best possible service to the community using a robust public safety software solution.